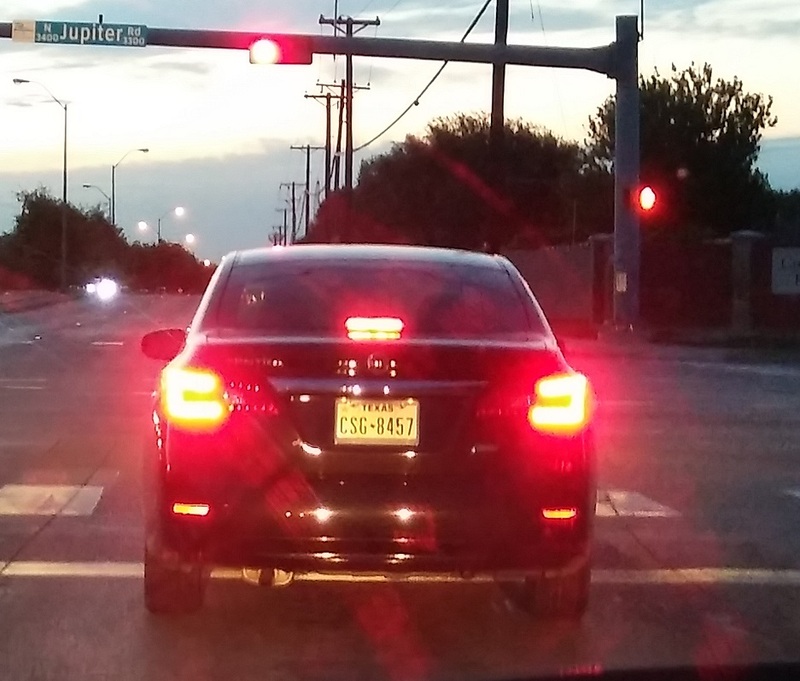 Event Description: This psycho was speeding down Renner, jerking and swerving in and out of lanes, cutting people off……then ALMOST stopped at the red light at Renner and Jupiter, but didn’t stop ALL THE WAY, they kept on costing through while riding their brakes through the intersection!!!! AND right into passing traffic!!! !